These are some of my wonderful friends that are doing the FOCUS apprenticeship with me, we are missing two others who will also be joining us! Aren't they pretty?? From left to right we have Shayla, Pedro, Hannah, Ryan, Me. It is finally August, which means my year as a FOCUS Apprentice has officially begun! With just a week in, I have already been up to so much. Last week the entire FOCUS staff went on a retreat to prepare for the upcoming school year, for four days we got to spend time bonding, learning, eating, laughing and in worship as a staff. This not only made me super excited to get to work with these people but it also help me cast a vision for our Dallas ministries this upcoming year. As a staff we all got to read In the Name of Jesus by Henri J.M. Nouwen, the book which is a short read yet filled with so much, focuses on Christian leadership and the different struggles one can have in a leadership role. During retreat the book challenged me to think of ways I can change in order to form deep relationships with the students at UTD and Richland College and the Dallas FOCUS staff. As most of you all know, I moved from Denton to Richardson not too long ago but I'm excited to say that I have finally settled in. This upcoming school year I will be living with UTD girls and two kitties (yay) and will be five minutes away from campus. please be praying for our Dallas Corefas (student small group leaders) as they prepare for the school year and for our welcome week events. That God will work through each of our student leaders and that each of them will convey the love of Jesus to everyone they meet. pray for the upcoming students and that they meet good and God loving people and for easy transitions. 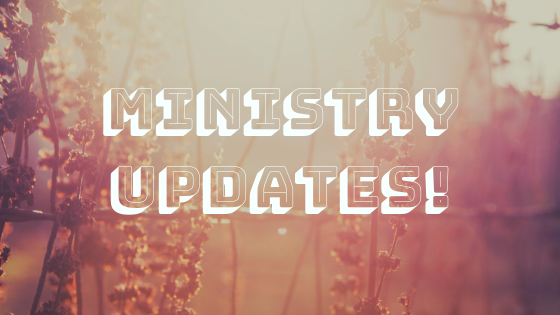 having moved from Denton to Richardson I am a bit nervous to be doing ministry here because it's new, please be praying that I don't make ministry about myself and the way I feel but that God will be working through me and that HE will be the one who is relevant. 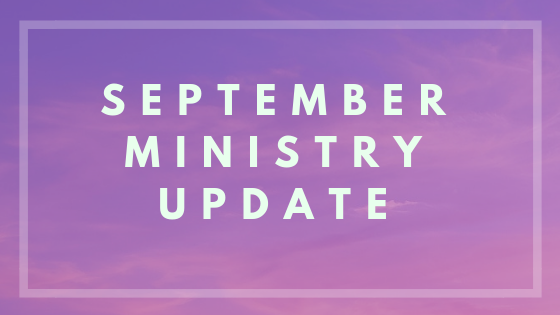 Finally, I want to thank all of my ministry partners for joining my support team this upcoming school year. 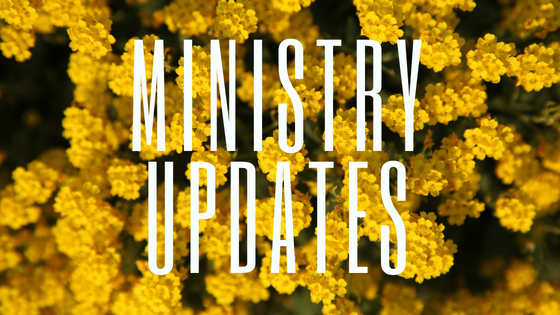 Through this blog I will be posting updates on how my life as an apprentice is going and how God has been at work in the Dallas ministries. It is such a blessing to have you all take a part in this, so thank you for your generosity! As of now I have reached 73% of my goal for the 10-months as an apprentice and will be continuing to try to be fully funded. If you know of anyone who will be excited about campus ministry and supporting a missionary, please feel free to e-mail me at sandra@anyfocus.org. Again thank you so much for your prayers and support. On our way to staff retreat we stopped by the famous Magnolia Market in Waco. We were there a whole 19 minutes and now we can say we have been there! Pictured with me is Isabelle who works as an Admin for FOCUS and Mandy who is on staff at UTD and will be my pastoral supervisor this upcoming year. They are both too cool! This month we have a student testimony from one our students at Richland College (one of the campuses I'll be working at this upcoming year) so excited to get to know Miles better and to be at Richland with him! Hey Sandra! I am so pumped about the start of your apprenticeship! You are going to learn and grow so much this year, and I love that I get to work alongside you in that process. I am also delighted to have you on the UTD/Richland team. UTD has a special place in my heart, and I know you will come to love that campus, too! Richland has been a challenging mission field so far, but I think your experience reaching out to NCTC students this past year has prepared you in some important ways. Richland really needs workers like you to love on those students. Great post! Love you Sandra!